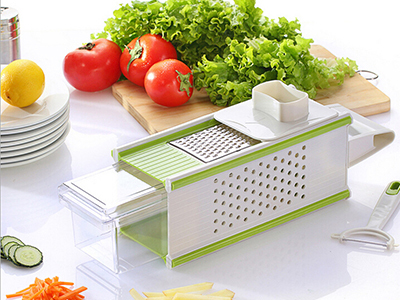 ♦5 In 1 vegetable slicer,great to grate, slice, and more.Perfect For Cucumber, Carrot, Ginger, Cheese, Chocolate, Onion, Potato, lemon, orange and etc. 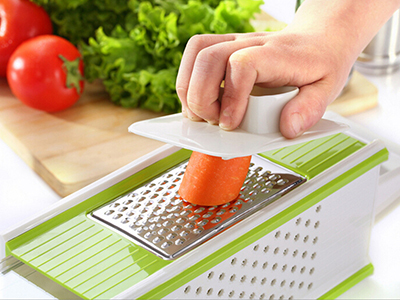 ♦This 5 In 1 vegetable slicer is versatile,convenient,fast easy to use. Suitable for every modern home different cooking needs. ♦It applies to vegetables including:carrots,cabbage,cucumbers,potatoes,onions,celery,etc. 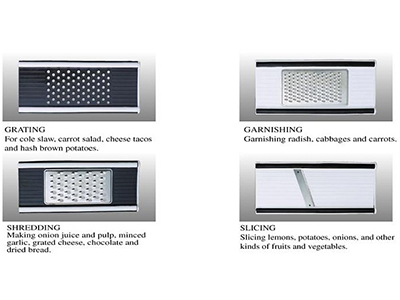 ♦A variety of different functions inserts(sliced,cut shredded and more). 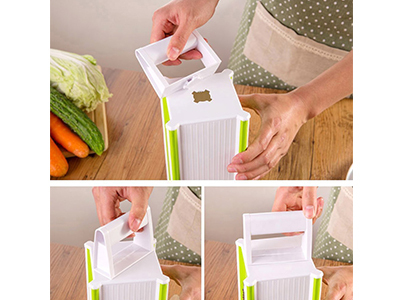 ♦Transparent distribution of food boxes for containing inserts of different functions and the cut end of the food,convenient health. Make all your favorite foods using healthy alternative vegetable ingredients, rather than using traditional pasta. The perfect cutting tool for quickly preparing vegetables and fruits with consistent clean cuts. This grater is 4 sided. Each side has a different cutter or shredder. Large blades for quicker garnishing, shredding, grating and slicing. Perfect For Cucumber, Carrot, Ginger, Cheese, Chocolate, Onion, Potato, lemon, orange and etc. 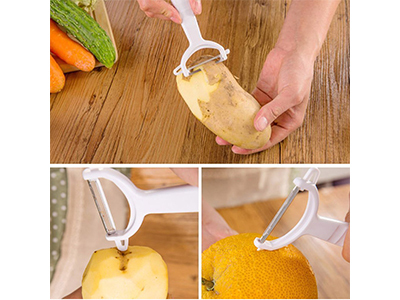 Multi-peeler for potato peeling, cirtus cutting and potato eyes removing. The handle is easy detachable for storage.Ensure safety and stability during use. 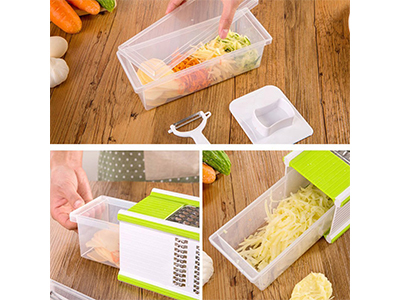 The storage box of the Multi Grater is transparent color, view the vegetable inside easy and clear. The storage container also comes with a lid. Safety holder for finger guard.The included food holder attaches with the food for safe and efficient slicing movement. 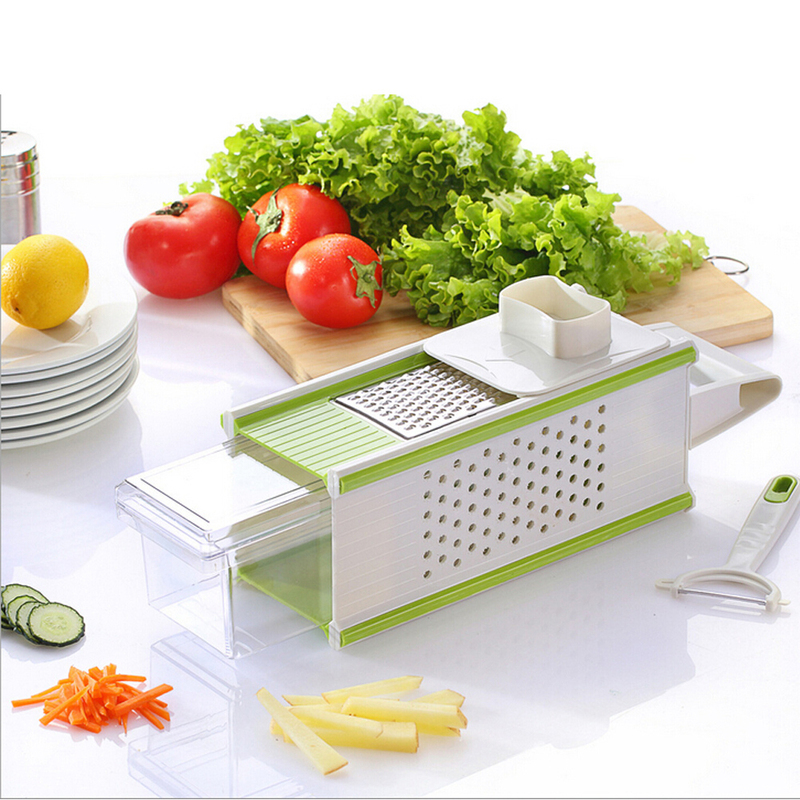 Vegetable Slicer has 4 sides for quicker garnishing, shredding, grating and slicing.Also included is a handle peeler and storage container. You can use it to create various sized vegetable,salad,pasta and more. The Vegetable Slicer is a fast, easy way to turn veggies into delicious healthy spaghetti,and help you to increase vitamin intake. 4.When the vegetable is small or becomes smaller (lower than 2.5 inches), you have to use the PROTECTIVE SHIELD.